The beautiful country always gives us all kinds of goodness, and each of its regions retains some peculiarities. 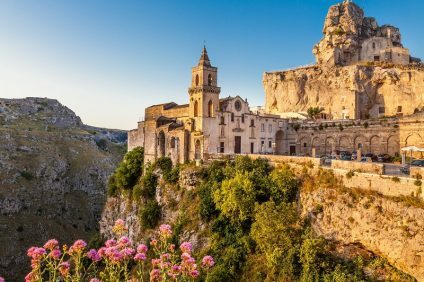 Calabria in particular is a land rich in excellence, and has enormous potential, both in terms of tourism and wine and food products. 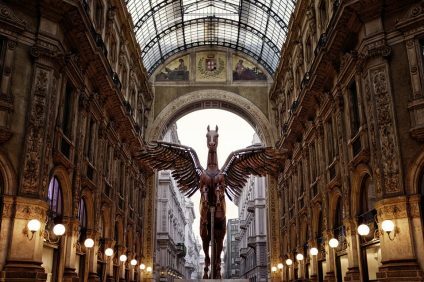 A thriving region that is too often underestimated, the tip of the boot definitely deserves a redevelopment, as it has so much to offer the rest of Italy and the world. One of his first fruits, in fact, is the famous DOP licorice, defined without a doubt the best ever! 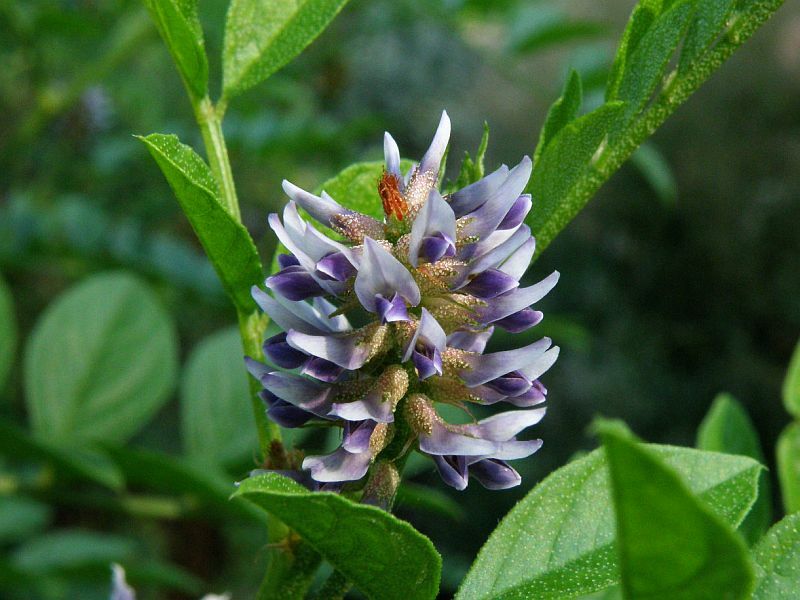 Licorice is a root with countless beneficial properties, and a very inviting taste. There are different types, but the one we will talk about today has a very special feature … it’s Calabrese! Oh yes, because according to the authoritative Encyclopedia Britannica, the DOP liquorice of Calabria would be the best in the world. Known as Glycyrrhiza, it is produced in large quantities, and the greatest contribution comes from this region. Calabrian liquorice has a simply unique taste: it is balanced in taste, sweet and bitter at the same time (n.b. licorice is naturally free of additives or other). Already known in ancient Egypt as a medicinal herb, it has also become famous for its emollient and antiseptic action. These qualities were then exploited around the year 1000, when the Calabrian monks began to use it for therapeutic reasons. In fact, there are several documents that attest to its use, such as those found in the Amarelli Archive. 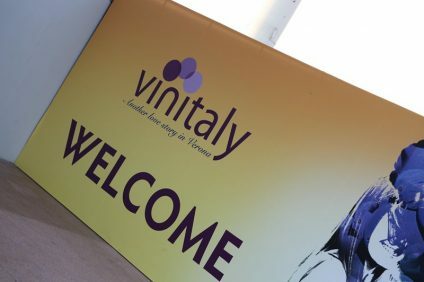 Here reference is made both to the collection and to the sale of licorice by the family, while in The commerce and the production of licorice in the eighteenth century we speak of the Neapolitan Vincenzo Volpicella. These, according to the sources, rented a boat “to go and load 200 cantara of liquorice pasta, 150 in Cassano and the rest in Crotone …”. In the eighteenth century, however, the traffic of licorice became the main activity of the Crotone nobles, but it was not until 1715 that the first factories were born. 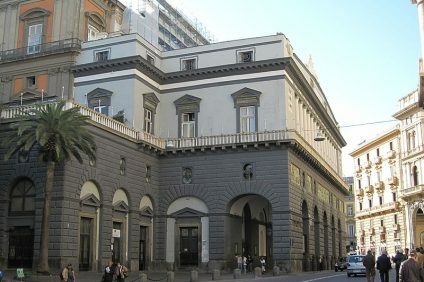 The first was founded by the Duke of Corigliano, then that of the already mentioned Amarelli family followed, and many others in the area of Reggio Calabria. In short, since the beginning licorice showed itself not only as a great product, but also profitable. Since the Middle Ages, therefore, Calabria has never stopped producing licorice, creating the solid basis for a thriving market. Unfortunately, around the 90s there was a bad crisis, which threw the licorice trade into the abyss. In the 2000s, however, the sector succeeded in recording a recovery, thanks also to the aid of the European Community and to the commitment of the Consortium of producers of medicinal plants and their derivatives. In less than 15 years Calabria reached notable figures, passing from 60 hectares of land cultivated to more than 1300. It seems that licorice is a passion for the Calabrians, a bit like the chili. 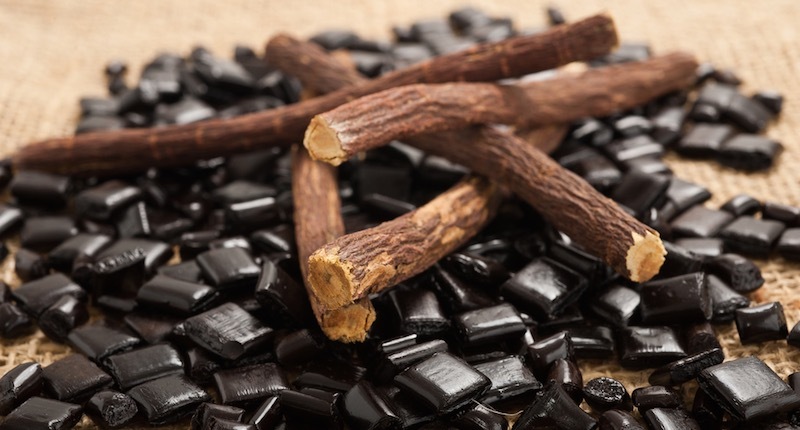 To produce an excellent licorice it is necessary to follow precise processing methods: after having collected the roots, it is necessary to chop them to obtain a doughy mixture. From this a very special juice is extracted, which must be brought to a boil until the desired density is reached. Nothing is left to chance, and when it comes to DOP liquorice, Calabria is no joke! The flagship of the region’s production is the Amarelli company, which has produced this dark delicacy since 1731. Indeed, the Amarelli family still uses and works in the same ancient ashlar in which his ancestors produced DOP licorice. Due to its extraordinary characteristics, Calabrian DOP licorice has earned the Protected Designation of Origin in 2011, as it is an integral part not only of the commerce of Calabria, but also of its secular traditions. This tasty black gold is finally sold in different forms: sticks, candies, and drinks. It is an ingredient that can be used easily in the kitchen, and gives the dishes a unique and powerful flavor. A taste is a must!